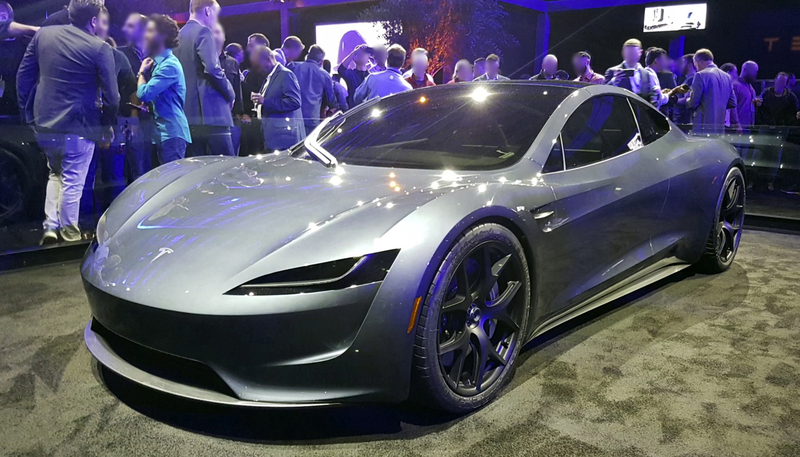 The new generation Roadster is expected to hit the roads in 2020 and is expected to be the Tesla ‘halo car’ that proves beyond a shadow of a doubt that the days of internal combustion engines are, indeed, numbered. The new Roadster (2020) will feature a massive 200 kWh battery. By comparison, the Model S P100D has a battery with half that capacity. The doubled battery power will give the new-gen Roadster a mind-numbing 620 miles of range – unheard of in the world of EVs. And that’s just the base model, as revealed by Tesla CEO Elon Musk at the unveiling of the car as well as on different Twitoccasions. We also expect a SpaceX option package to be available, and it’s definitely going to be out of this world if the base model is so impressive. Acceleration time is a blazing 1.9 seconds from 0-60 mph and a top speed of 250 mph. Over 250 mph, actually, because Tesla doesn’t want to spill the beans at this point. The fastest road car in the world, the Hennessey Venom GT, was clocked at 270 mph, and it won’t be a surprise if the top-end Roadster can kill that record. Maybe even the Koenigsegg Agera RS, which was clocked at 284 mph. That would be the ultimate halo car. Perhaps that’s what the SpaceX option includes? We don’t know, but if we know anything about Elon Musk, it is that he is a performer. If you want a touch of nostalgia (we’re sure Jay Leno will feel it), tune in to Jay Leno’s Garage this Thursday, August 23, for the full monty on the new-gen Roadster (2020).